Come and browse at our Christmas event. Visit our intimate fair in the fabulous Beacon Rooms. Up to 16 stalls of quality collectables and antiques. To include, jewellery, silver, militaria, clocks, barometers, porcelain, pottery, treen, metalware, glass & indeed all curiosities and collectables. Refreshments available in the adjoining Castle Tea Rooms from 1000. There is disabled access. 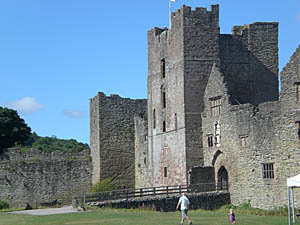 Come and browse in the lovely and historic surroundings of Ludlow Castle. Entry is only £1, children free.